Shortly after her father died, Sia Bona’s husband’s family took over her father’s oil-palm plantation and rice paddies, and drove her and her mother from their home. “I came from riches, but now I am poor,” said the 45-year-old teacher from Koidu town in eastern Sierra Leone. Like many African countries, Sierra Leone has a dual land tenure system, with aspects from the colonial era and customary ownership varying in proportion, depending on location. This creates confusion regarding land rights for women, says Catherine Gatundu, natural resource rights coordinator at NGO ActionAid International. The 2007 Devolution of Estate Act criminalizes depriving a woman from inheriting her husband's property after his death. It recognizes customary marriage, the rights of polygamous spouses, and imposes penalties for evicting a spouse or child from the marital home. The inheritance should be shared among surviving family, with 35 percent going to the spouse, 35 percent to the children, 15 percent to parents and 15 percent in line with any customary laws. 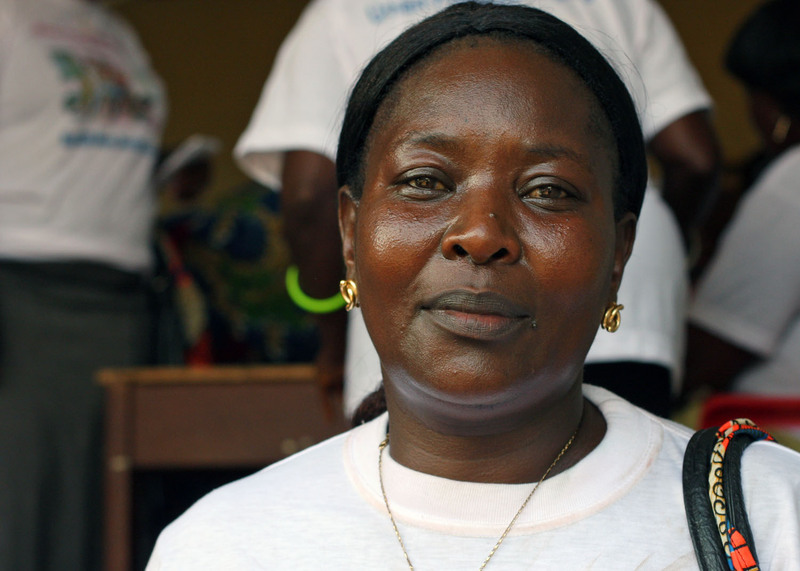 But the act only recognizes an individual’s right to land, not a family’s, and the vast majority of Sierra Leonean women live under traditional land tenure structures that do not recognize a woman’s right to own property. While statutory law governs the capital, Freetown, and its surroundings, customary law - under the heads of ruling families known as paramount chiefs - governs the provinces. Paramount chiefs, the “custodians of the land”, are generally men and most ethnic groups do not allow women to inherit land and property. Customary law applies in 12 of Sierra Leone’s 14 districts. As the government looks to reform land policy ahead of presidential elections in November, gender activists are pushing to make women’s right to land a reality, calling the current set-up “discriminatory”. According to the US State Department’s 2011 Investment Climate Statement, agriculture accounts for over half of Sierra Leone’s income, up to 80 percent of the country’s agricultural workforce are women, and women farmers directly affect 40 percent of the national revenue. In Sierra Leone, more than 20 percent of households are headed by women, and in over a third of these cases this is due to the death of her husband according to a 2011 food security study by the World Food Programme. Sierra Leone’s conflict was set off in part due to highly unequal distribution of natural resources, including land. During the war, which ended in 2002, two thirds of the population was displaced, and those who returned home often found their farmlands destroyed or occupied. The situation of most rural women has changed little, if at all. “It’s still not really possible for a woman in the rural areas to be a landowner,” said Sam. The Act is often ignored by paramount chiefs, or not recognized by relatives who stand to gain under customary law, and in many areas and instances it is overridden by traditional laws for community land. The belief that land exists for the dead, the living and the unborn, and so cannot be permanently alienated is still strongly held in many areas. According to a study led by the Italian non-profit, Cooperazione Internazionale (COOPI), three-quarters of land in the areas they surveyed was either family or communal property. Actionaid’s Gatundu noted that practice tends to follow customary over statutory law even in countries that have included women’s land rights in their national constitution. As a result of losing their land, many women and their families are pushed into hunger, children drop out of school, and families are forced to live on the street according to a COOPI study in 2012. Others must marry one of their husband’s male relatives to survive. Separate to the Act, the government is also working on reforming current land policy, which will direct all future land legislation. Many women’s rights activists are disappointed with it, saying it does little to protect women’s rights to land and women were not properly consulted. Sierra Leone’s 1991 constitution states that all persons are equal under the law, “unless customary law says otherwise”. In 2007 the country’s Constitutional Review Commission recommended that this section be abolished, but constitutional reform has yet to come. “It doesn’t matter how good the land policy is, [if this clause is not removed, nothing will change],” said Brima. In June 2012, COOPI and the United Nation’s Development Programme (UNDP)led the first national conference on women and land, bringing together women from across the country, activists, government and NGOs. Cavanagh hopes the conference will spark a countrywide women’s land rights movement.